Many people are living in pain as a result of pelvic floor atrophy. This happens when the muscles, ligaments and connective tissues surrounding the pelvic organs become damaged or weakened. Pelvic floor dysfunction often occurs after childbirth, but may also be caused by pelvic surgery, obesity, heavy lifting, and even genetics. If you suffer from this problem and have not been able to find relief with alternative treatments, you should know that Pilates can be a very effective way to treat your condition. Propel Pilates, one of the best Pilates studios in San Diego, offers specialized classes to help women and men with pelvic floor pain. They emphasize exercises that help strengthen the muscles in the pelvis without putting additional strain on the area. In fact, practicing Pilates for pelvic floor dysfunction is widely believed to be one of the most successful treatment plans for this painful condition. 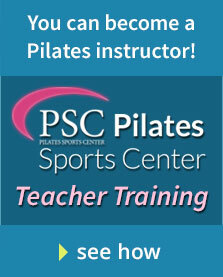 The first thing you’ll want to do when choosing an instructor who will customize your Pilates exercise plan, is to verify that they have the proper training and credentials. Karen Rickett, owner/operator of Propel Pilates, holds both a masters in nutrition and a comprehensive Pilates certification. She has high standards when it comes to her staff, she makes sure that they too are highly qualified. At Propel, you can be sure that whomever you choose as an instructor will take time to create a program that fits your specific needs. When working with someone who is experiencing pelvic floor pain, Karen and her staff focus on the pelvic floor muscles. Strengthening this area means better support for the pelvic organs. Pilates is also about regaining proper alignment in your body. You do this when you build strength and improve posture, which are two of the core principles of any good PIlates program. Proper alignment ensures that all of your muscles, joints and tendons are positioned correctly and therefore supporting all surrounding tissues. If you’ve been thinking about taking Pilates classes for pelvic floor atrophy pain, get started tomorrow by stopping into the Propel Pilates studio or checking the website to see the schedule of classes. Find out how this easy to learn exercise program can improve your quality of life. With the best Pilates teachers in San Diego on staff, you can count on personalized instruction in a comfortable environment.